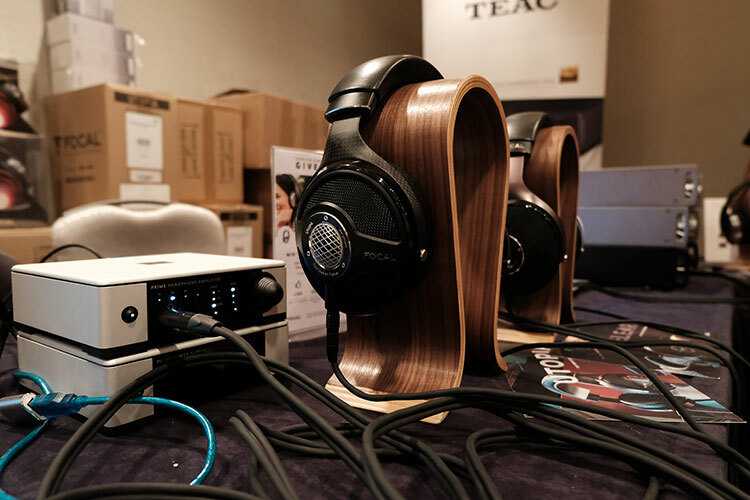 The Utopia is Focal’s third headphone and flagship model priced at $4,000. With its hefty price tag, is it able to perform against other top-of-the-line headphones? The box sports a similar design to the Elear box which stores the headphone nicely. Its hefty foam and delicate grooves allow for optimal storage without any strains for the cables or the headphone itself. It would have been nicer if there was a cardboard box with artwork to sport its awesome design but its simplicity and heft shows the buyer that it is a premium product. 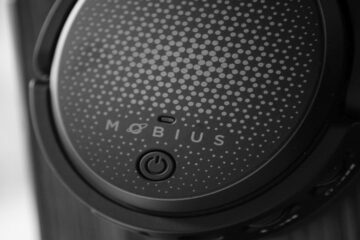 The headphone itself is very well built and Focal claims that it is the only headphone that has the first pure beryllium M-shaped drivers, which allows the transducer to respond to a frequency of 5Hz to 50kHz without crossover or passive filtering. The carbon fiber yokes are also smooth and easy to adjust to fit any sized head. The cable is pretty heavy duty which makes it very durable although it can be on lengthy side for some while sporting some pretty premium connectors. The headphone is a bit on the heavy side although the distribution of weight for this 490g headphone seems to be very well thought out. The lambskin leather memory foam ear cushions make it extra comfortable which makes it very nice to the touch. These headphones definitely make your ears feel spoiled when talking on a physical level on top of the sound. As for the headband, I could see the constant bend being a bit too wide or too shallow for someone outside of the average head size but I found no problems with it personally. I was able to lean back without worrying about it falling off my head and turning my head side to side did not make it slip at all. The Utopia made me feel like my head was in the clouds despite it being noticeable in weight. The Utopia can be revealing of its sources, so I think it is a superb measuring tool in demoing gear. It is responsive to source pairings and I found it particularly enjoyable to use when comparing various sources I could get my hands on. For me, when I was using the Utopia for almost a week straight, I already felt comfortable with hearing differences with it like my HD800. The bass impact on the Utopia might not be the most extreme or hard hitting out of all the headphones available in the market but it’s special. I found it having an unbelievable amount of control while still being detailed and extended when it needs to be. Its bass response is fun, incredibly tasteful and with very little compromise. 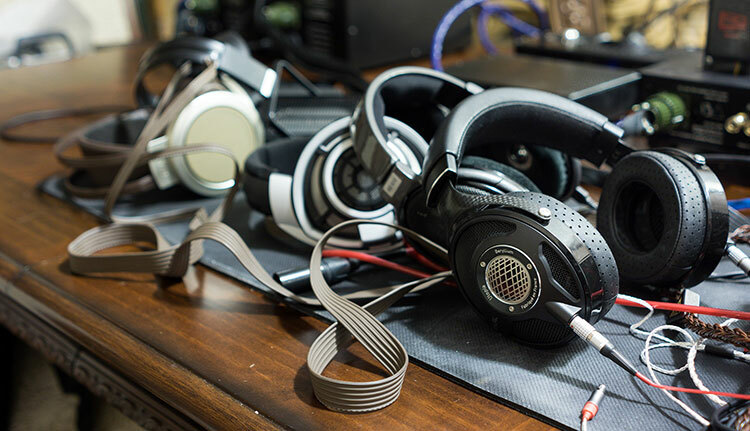 Dynamic is perhaps an overused word when it comes to describing the Focal headphones, but that is really how the Utopia is. These headphones can satisfy the basshead in each one of us while still being able to give a good bit of everything else. Mid-range is what really shines with the Utopia as every instrument and note just sound so satisfying. Playing one of my favorite concert albums, Jack Johnson’s En Concert, the Utopia allowed me to visualize the performance stage with minor whispers that I think you won’t typically hear with other headphones. The way this headphone produces low-level detail is effortless and the dynamic sound of the Utopia allows for excellent presence and weight that’s suitable for every genre I’ve thrown at. I found the Utopia being very well suited to guitar and piano tracks, the mid-range carries a lot the Utopia’s strength while not being solely focused on it. String instruments, in particular, give superb timbre without muddying up any details. With high fidelity tracks, details are magnified more than ever as transients are carried ever so effortlessly by this headphone. I think being resolving with superb balance gives credibility to the Utopia’s claim to the TOTL throne. The treble on the Utopia can be said as a hair peaky and slight forward but when matched with the right source gear, it can actually enhance the overall listening experience. Throwing vocal-centered tracks to it, I could easily imagine the vocalists being present and alive in the recordings. Another form of evidence of how dynamic the Utopia can be. There are times that the cymbals can be a bit too tin with some sources I have used but the can also be blamed on the recordings itself. Other than that, I don’t believe that the Utopia is incredibly revealing though the tone being shared with the HD800 gives it the impression that it is so. Soundstage can be slightly narrow when coming from something like an HD800 though I found it adequate when compared to other headphones. The narrow stage gives the sense of intimacy as if being in a small room and having the first-row seat in front of a performance. I particularly liked the imaging done on these headphones, I found it lacking any sort of coloration while not being too harsh or revealing like other headphones are. It can be euphoric or energetic at a change of a track and I very much appreciate that. It is truly quite an accomplishment on how good headphones can reproduce sound now when compared some 5 years ago when I recently started the hobby. Two headphones I’m particularly knowledgeable about would be the LCD-4 and HD800 which I find to be very opposite extremes of what the Utopia is all about. The Utopia brings a mutual compromise when compared to the Audeze LCD-4 or the HD800 which are on opposite sides of the spectrum. The LCD-4 can be a bit too dark for some while the HD800 is too bright for others while having extreme differences in the bass as well. 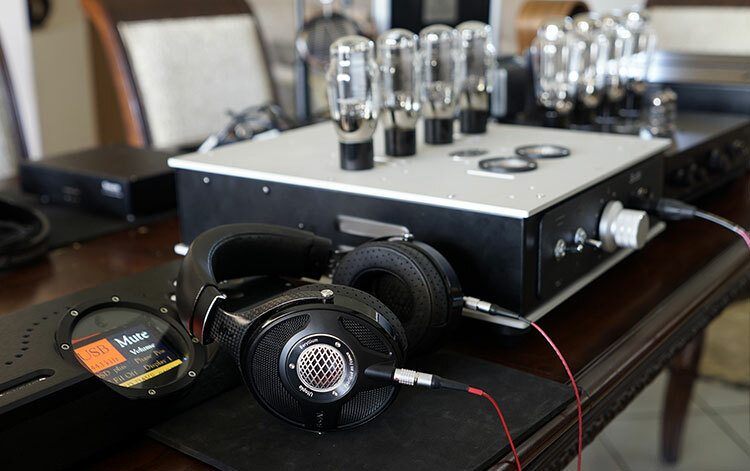 While the LCD-4 has extreme body and presence, the HD800 can be very light and airy due to the vastness of stage. The Utopia takes the two undesirable differences while combine them with one headphone by offering the harmony of having presence, resolution, deeply extended bass and clarity in one clean package. It is definitely one of the best sounding headphones I’ve heard in a long time and I think it deserves a place in the current top of the line listings when talking about high-end audiophile headphones. 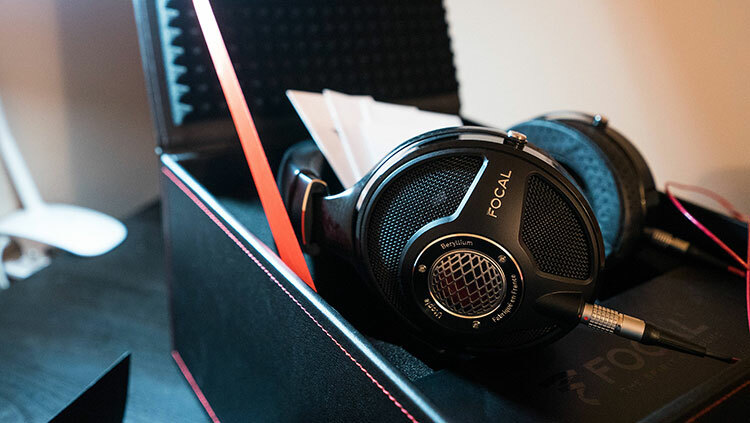 Focal may not be a stranger to the audio community, but it was a bold move to produce a $4,000 headphone as their third release. Overall, I think this headphone out resolves hyper-detailed headphones such as the HE1000, SR-009, and HD800 and then improves on their desirable traits. The price is definitely steep at $4,000 though it can be justified for getting the most performance from cost-is-no-object amplifiers that can run from $5,000 and above excluding tubes. I would give the Utopia a resounding YES to whoever can afford and is having doubts to purchase this headphone. The Utopia can definitely hold its ground to whatever it’s thrown at genre-wise and this is through a few months of use now, so no holiday period here. Thanks for the review. What would you recommend for SS and Tube in the ~2k range? $2k pick for SS… I’m a bit biased since I have owned it but I would go with the Master9 or HE-9 from Audio-GD. It’s probably not the most ideal choice though I don’t want to recommend the Schiit Ragnarok or Mjolnir 2 due to the lack of detail. For tube, my pick would probably go to the Torpedo T3 amplifier, a bit narrow in terms of staging but detailed even with stock tubes. thanks for the advice. I’ve never heard of the torpedo t3 amplifier until a couple of days ago, i wish it was easier to buy. Staging to the V2, tonal balance might be to the Utopia for me but my listening time was shorter than Jacqueline’s so I will let her chime in. 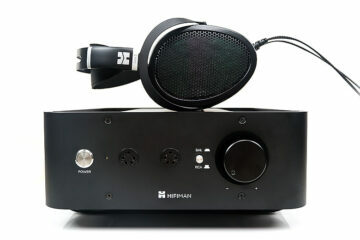 I somewhat dislike Hifiman’s way of doing the upper midrange portion in their headphones. It sounds kind of disconnected when it goes to the upper mids/low highs and I keep getting fixated in how that sounds whenever I listen to their cans. I found the HE1K having better bass control and impact overall, but the Utopia does midrange and treble better to my ears. As for detail and resolution, I am very hesitant to put one over another. So it’s more than twice the price of the HD800s, one third more weight, and has a narrower soundstage. Sound like an overpriced non-starter to me. If judging purely by soundstage. You want to charge an uber-price you’ve got to ring all the bells. And those are three pretty big bells. Having heard the Utopia myself I would say staging to the Senn, but then body, texture, tonality, treble smoothness, resolution could be some other bells that could well be debated. You never heard it so you can’t judge it. i HAVE heard a HD800 and imho think the soundstage is very artificial sounding. do you want to sit in the 5th row or in the back. A beyer T1 beats it out in layering, detail, and (natural) soundstage..
I’ve reviewed the Utopia and the HD800 side by side. Yes you are right in terms of price, weight, and soundstage but know that the Utopia is a product for those who want to be on the bleeding edge at whatever the cost. The HD800 does not have the body and resolution the Utopia has for example, but it does have a more immersive soundstage. Who cares if it’s 2-3x the cost, there will always be people that wouldn’t mind paying for it.